100+ pages. This Resource Manual is given only to Differentiated Instruction participants at our trainings. WE DO NOT SELL THIS RESOURCE MANUAL TO THE GENERAL TEACHING PUBLIC. It is given to participants of our Differentiated Instruction seminars and at our on-site trainings conducted in schools and districts. This Resource Manual provides cutting edge ideas, strategies, tips, and easy-to-implement differentiation strategies to address diverse learning needs and promote motivation and a desire to learn in all. Training Resource Manuals are not for sale online. 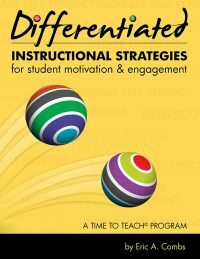 Differentiated Instruction: Engagement and Motivation in Every Classroom! Every teacher knows the frustration of trying to reach each student at that student’s appropriate level, just as every student knows the frustration of receiving a lesson that was too easy or too difficult. 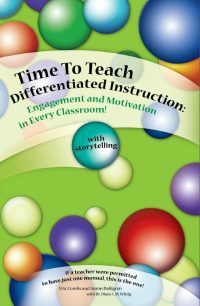 This book describes Differentiated Instruction strategies proven to make the most of every moment of teaching time and learning time in a way that is simple, fun, engaging, and motivating. These ideas will serve you as you further expand your students’ engagement opportunities and support your students in extending their self-motivation. Included are strategies to promote positive feelings, promote attention and interest, promote connectedness and relevancy, promote self-efficacy, and ideas on how to share these best practices with others! 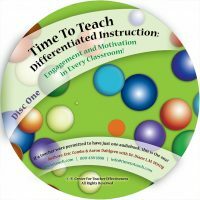 This audiobook provides cutting edge ideas, strategies, tips, and easy-to-implement differentiation strategies to address diverse learning needs and promote motivation and a desire to learn in all. Gain tools for promoting positive feelings in the classroom. Discover strategies for stimulating attention and interest. Design lessons that are high on the “meaningful and relevant” meter. Help students build confidence and self-efficacy. Learning science is exciting when differentiated instruction is used. 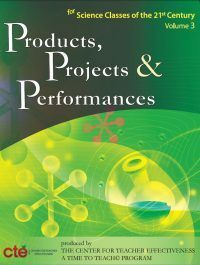 Teachers need these 50 science projects, products, and performance lessons to help engage all learners successfully. Each lesson contains a rubric as well as critical thinking verbs that are specifically used in the lesson. Struggling students will come into class eager to learn if they know they are going to be involved in a hands-on activity that is relevant to their everyday world. This book is a wonderful resource. Struggling students will come to class eager to learn new content if they know they are going to be involved in an exciting activity. They will love the hands-on activities contained in this book. It consists of 50 social studies lessons that make real life application and connect students to their world. In each lesson, a product, project, or performance is completed by each student. A rubric is provided for each lesson as well as the critical thinking verbs that are specifically used in the lesson. The book enables the implementation of differentiated instruction to help ensure successful learning. 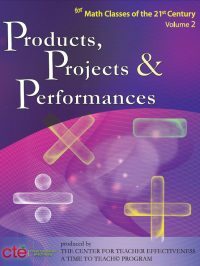 This book contains real life products, projects, and performances that are extremely helpful in engaging all math learners. Have you ever had a student say to you, “Why do we have to learn this? We will never use this in the real world!” If students can connect the math assignment to their everyday world, learning and retention of content is achieved! Use one of these 50 lessons and watch what happens with even your struggling learners. It’s exciting!! These lessons use differentiated instruction in the classroom and all students are engaged in the learning process. 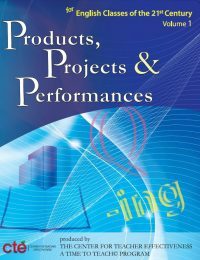 Each lesson has a rubric and identifies the critical thinking verbs that students must use to complete the product, project, or performance. Is your ELA class engaging? Experience indicates that as many as eight out of ten students are bored in most ELA classrooms. They are not engaged and find themselves daydreaming or sleeping and many times disrupting class. These students need real life, hands-on activities that will help them understand and retain the content being taught. 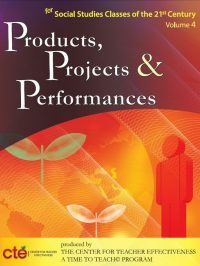 This book contains 57 lessons involving products, projects and performances that are extremely useful in engaging all learners. A rubric is attached for each lesson as well as Bloom’s critical thinking verbs that are used in the lesson. Each lesson uses differentiated instruction to engage students effectively in the learning process. Every math, science, social studies and English classroom needs this book. In this book, there are 50 lessons with rubrics and critical thinking verbs that engage all learners. Eight out of ten students are dominant hands on learners. Many of them struggle daily to sit still, listen, and write down the assignment. 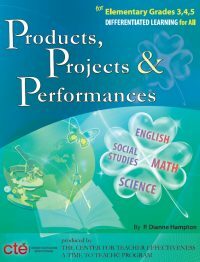 This book allows students to use hands on activities to learn the content and to know they have completed the assignment correctly. Each lesson engages students individually. The lesson challenges each of them to use critical thinking as they master the content in the math, science, social studies or English classroom. The differentiated lessons in this book encourage all learners to be successful. DICE – Introduce Randomness In Your Classroom! Instruction Manual with dice ideas for your classroom included. We can often be our own worst enemy when it comes to keeping our students attention. As an example, we often use the Round Robin technique to ensure students participates equally. The problem with this approach is it signals students that when done participating (e.g. answered the question), it is time to relax, tune out, and ignore the rest of that lesson. What to do? Adding an element of chance and randomness (DICE) into your flow of lessons can greatly increase student participation and attention. You can have students roll to do certain tasks, assign specific tasks you want them to do, or a combination thereof. Remember, the idea is that they will not know when they may be called on and that when their number comes up, the expectation is there for them to participate. Keeping it random prevents your students from getting lax in their attention and sends the very powerful signal that at any time, they are responsible for the information and learning within your classroom. 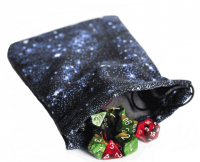 This Polyhedral 7-Die Set with velveteen bag allows you to roll any number at any time! © 2019 Jennifer McCarty Plucker. All rights reserved.